how can someone tell if he or she has a sleep disorder? 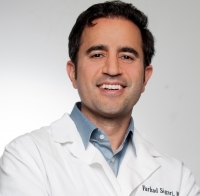 » Watch Next Video by Farhad Sigari, MD, FACS - What are the signs and symptoms of sleep apnea? How can someone tell if he or she has a sleep disorder? That's a really good question. Because about 90 percent of the people that do have a sleep disorder don't really know they have it until somebody points it out to them. It could either be a bed partner or a roommate and that alerts them that there's a problem. The other way is that when they wake up in the morning, they just don't feel right. They don't have the same energy. So that's when they seek treatment or advice.